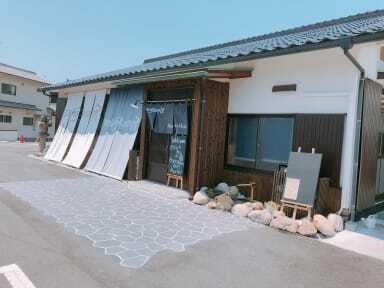 Featuring a garden, Hiroshima fan’s hostel is located just a 2-minute walk from Miyajimaguchi Station. Free WiFi is provided throughout the property. Private parking is available upon prior request for an additional charge. All units at the guest house features a safety deposit box. 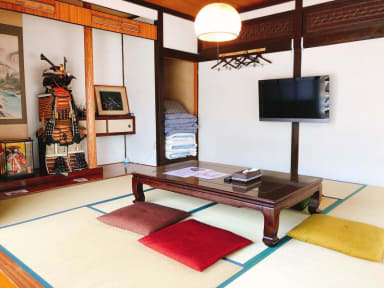 Some rooms feature a Japanese-style veranda and tatami (woven-straw) flooring. The shared kitchen includes a refrigerator and microwave. The bathroom is shared with other guests. It is a guest house refurbished Japanese style old private house. The interior is reborn as a comfortable accommodation, as it is with its traditional Japanese house-like exterior. 'The person who visited Hiroshima for the first time' and 'the person who visited Hiroshima many times' are the nearest lodging from JR Miyajimaguchi Station, which makes everyone want to stay. JR Hiroshima Station is 32 minutes by train from the guest house. Hiroshima Airport is a 90-minute drive away.